Apparently today is blue Monday, the most depressing day of the year. But don’t be too sad because it’s time for our Geekly Review. This weekend being a middle/late January weekend was a very quiet one, so I think it could be a short update from me. I pretty much stayed in the whole time playing DayZ and Battlefield 4. You might remember a while back that I wrote about some games I can’t wait to play this year. Well DayZ was one of them. And whilst I have played the DayZ mod, I hadn’t been on the standalone version, which is currently in an Alpha state. Well this weekend I managed to get on it. Its great! I can’t wait to get back to playing it. It’s pretty similar all round to the mod, but with a few improvements here and there. Also it doesn’t seem to buggy for an Alpha game. I don’t want to write too much about it as I will be doing a full piece later this week on it. 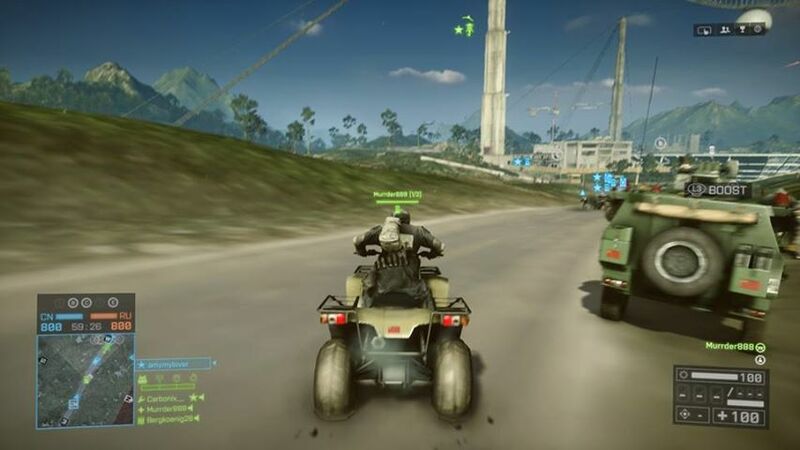 I also played a fair amount of Battlefield 4 this weekend, I was just rinsing the multiplayer. As I said last week I would try to make a short video montage of some of my BF4 highlights. So here it is. It was also a good little exercise to get me used to the Upload Studio a bit more, and editing clips together. It’s very easy. I also made a start on volume 3 of the Fables stories, The Storybook of Love. The issue starts with ‘Bag o Bones’ set in the Civil War, where conman Jack Horner blags his way in to the Confederate Army only to impress women. After leaving the army and on his travels comes across a frail looking old man, who invites him to play poker. Jack almost loses everything he owns, but being the conman he is, manages to win on the last hand to regain all his possessions and one very special magic sack from the frail old man. Bag o Bones was a brilliant little tale. The remaining bulk of this volume follows the story of a reported who claims to have discovered the secret identities of the residents of Fabletown. He think they are all vampires, and is ready to blow the lid on the whole story. So it’s up to Bigby and co, to stop him before this happens. I really love the Fables series so far, and I would recommend it to anyone. The whole idea of all the fairytale characters being exiled to live amongst the ‘mundys’ (humans) is brilliant. I definitely think I will carry on reading and collect all the issues. It was a rather eventful week & weekend for me. As you may of already read, I finally completed Tomb Raider and really enjoyed it. I since have made a start on Hitman Absolution. As I’ve said previously I’ll be tackling back catalogue for a while, Although the temptation to pick up The Last of Us on pay day is there. So far on Hitman I’ve only just escaped the hotel, via the apartments that doubles as a weed factory, finally making the escape dressed as a cop on a busy train station. I’m really enjoying this game and the multiple ways you can progress each level. 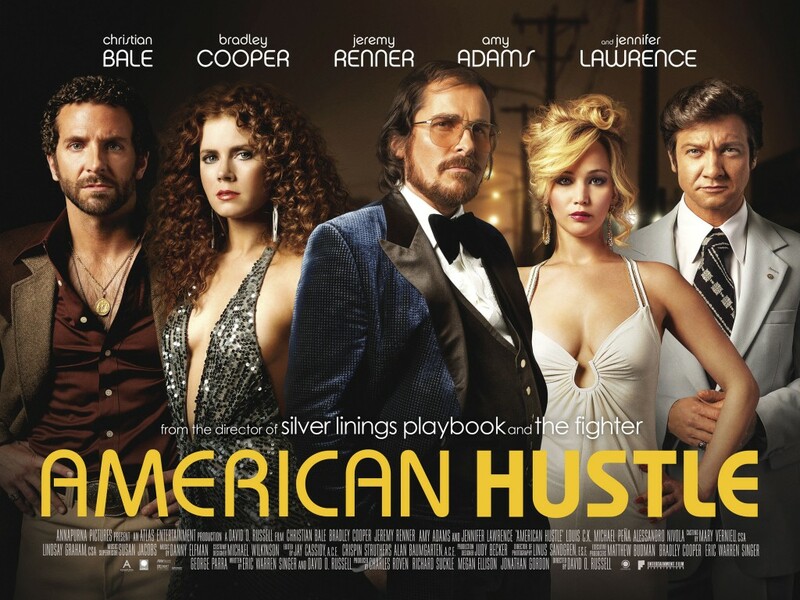 On the Saturday I went to the cinema with some friends and saw American Hustle. I was incredibly excited to see this film. I really enjoyed Bradley Cooper and Jennifer Lawrence in Silver Linings Playbook, so to see a comedy, gangster inspired film from the same director featuring both of them again and including Christian Bale & Amy Adams… what could go wrong. Nothing… It was absolutely brilliant from start to finish. So many twists and turns and an incredible cameo from a very epic actor. I won’t spoil, but I must demand you make some time to see this film. Next on the list to see is Wolf of Wall Street. It was a rather good weekend in terms of Television. Brooklyn Nine Nine, Mob City and The Spoils of Babylon all debuted on e4 and FOX. And I enjoyed all 3 shows. Brooklyn Nine Nine was just hilarious as I had hoped, Mob City also had a few twists and turns in the opening episode, but was very enjoyable, and Spoils was just stupidly funny, But Will Ferrell was going to deliver. And lastly another weekend of sport in which I saw Manchester United fall further away from retaining their championship. And watched the Bronco’s vs Patriots game. I’m really glad to know that the Superbowl won’t feature Patriots or 49ers. From this point I’ll go for the Seahawks to win the Superbowl. But I wouldn’t begrudge Peyton Manning picking up another Superbowl ring. Flex day request for the Monday after the Superbowl in… here’s hoping it gets approved.